Get scarred for life for a little extra cash! 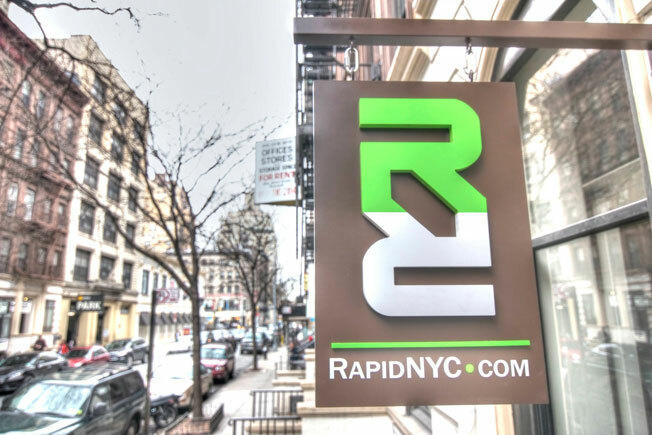 That's the tempting offer being floated by New York City's Rapid Realty, which is offering employees 15 percent raises if they get the company's logo tattooed on their person. Some 40 employees have already done so—either because they love the firm, need the money, or both. "I was like, Why am I throwing my money away when I could get myself from $25,000 to $40,000 for the same amount of work?" Stephanie Barry, who might not understand what 15 percent means, tells CBS News. "My wife was a little concerned but I said, you know what, it was the best commitment I could think of," said another employee, who's been on the job all of one month. There are no size or placement restrictions—one clearly ashamed employee got a tiny tattoo behind her ear. And actually, the design isn't terrible. Rapid Realty owner Anthony Lolli pays for the tattoos, which cost up to $300 each. But tellingly, he has yet to get one himself.